Key Difference: The United States Army Reserve (USAR) is the Federal Reserve Force of the United States Army. The National Guard includes the Army National Guard of the United States and the Air National Guard of the United States. Together, the Army Reserve and the Army National Guard make up the Reserve components of the United States Armed Forces. A person, who is in the Reserve, is in the army only part time, and their services are called on as and when required. The United States Military Forces are vast. It includes departments such as the Army, Navy, Marine Corps, Air Force, and Coast Guard. However, each one of them has further divisions, such as a Reserve component. The Reserves are under the command of their respective military branch, for example, the Army Reserve is under the command of the Army. The Reserve is exactly what it sounds like. It is the reserve or backup unit of the original unit. A person, who is in active duty of the armed forces, is in the military full time. They work for the military full time, may live on a military base, and can be deployed at any time. However, a person, who is in the Reserve, is in the army only part time, and their services are called on as and when required. If a person sign up for the Army Reserve, they will be trained the same as an active army soldier. The only difference being that the reserve will not serve his entire enlistment period deployed. A reserve will be required to only spend a certain period of his enlistment period, usually two, three or four years deployed. The reset of the enlistment period, he will be on reserve and will only be called upon to serve if and when the need arises. 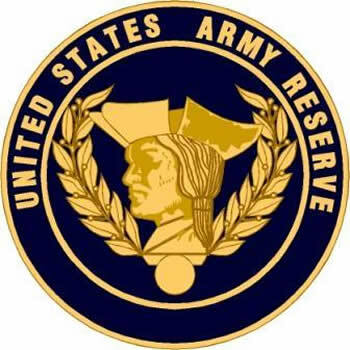 The United States Army Reserve (USAR) is the Federal Reserve Force of the United States Army. The National Guard, on the other hand, is a joint activity of the United States Department of Defense (DoD). It includes the Army National Guard of the United States and the Air National Guard of the United States. Together, the Army Reserve and the Army National Guard make up the Reserve components of the United States Armed Forces. The National Guard has a total of 54 separate organizations; one for each of the 50 states and the one for the territories of Guam, Virgin Islands, Puerto Rico, and the District of Columbia. These organizations are under the dual control of the state and the federal government. For most of the time, the National Guard is under state control, however, when required, the federal government can call on them for service. The National Guard is basically the state militia. A militia is basically a congregation of able-bodied men who can fight. The original militia in the United States was formed under English rule, to protect the towns or individual colonies from harm. They were sort of the neighborhood watch, and the first line of defense for the towns. These militias were the basic foundation of the National Guard today. The National Guard are under the control of their state’s governor, who acts as the commander-in-chief of the state’s respective National Guard. The governor may utilize the National Guard for various conditions as provided in the state's constitution and statutes. This includes to help respond to domestic emergencies and disasters, such as hurricanes, floods, and earthquakes. As well as in response to man-made emergencies such as riots and civil unrest, or terrorist attacks. When required, the National Guard can be called on by the federal government as and when required. This is mainly done when the federal government needs help combating issue within the state. Here, the National Guard can be called on to act as the first line of defense, to either deal with the issue on hand, or to hold down the fort until the military arrives. The National Guard can also be mobilized for federal active duty. This is done in order to supplement regular armed forces during times of war or national emergency. They can be mobilized on the order of the Congress, the President or the Secretary of Defense. As English Colonial government militias from 1636. 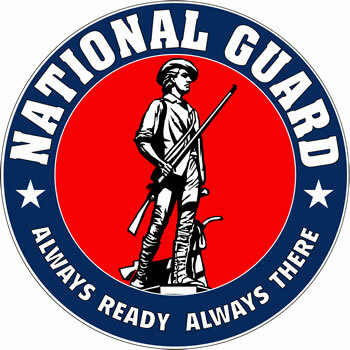 As "National Guard": from 1824 in New York, and from 1903 nationwide. The Army Reserve may be called up in the event of a war or struggle that may require larger numbers of soldiers. An Army Reserve will have to spend a certain amount of time as an active soldier. The National Guard may be called up for active duty by the governors to help respond to domestic emergencies and disasters, such as hurricanes, floods, and earthquakes. National Guard units can also be mobilized for federal active duty to supplement regular armed forces during times of war or national emergency declared by Congress, the President or the Secretary of Defense. Approximately five months in initial active duty for basic training and Advanced Individual Training. A 10 week basic training sprint to become physically and mentally stronger. When not on active duty, reserve soldiers typically perform training/service one weekend per month, currently referred to as Battle Assembly, and for two continuous weeks at some time during the year referred to as Annual Training (AT). Eight-year service contract; all eight years in Reserve Component (RC); or two, three, or four years in Active Component with the rest in RC. Six-year service contract per enlistment period; with 6 months or two years spent in active duty, of which no more than one year will be spent overseas. All U.S. Army Reserve soldiers are subject to mobilization throughout the term of their enlistment. All National Guard are subject to mobilization throughout the term of their enlistment.